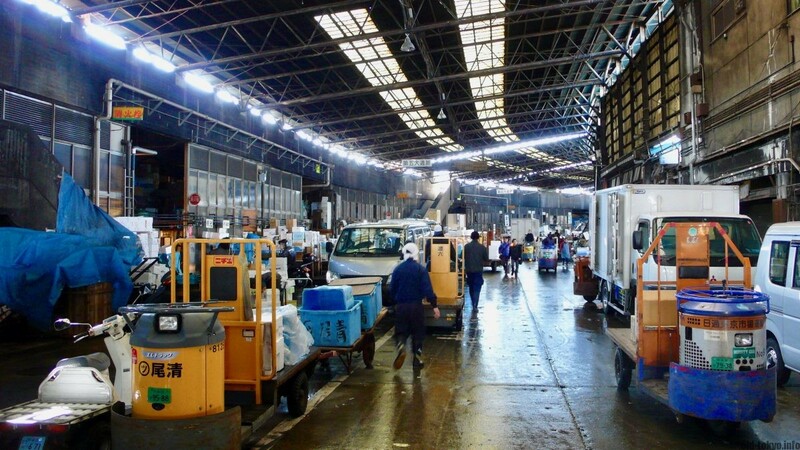 Tsukiji Fish Market was the largest wholesale fish market between 1935 and 2018 in Tokyo and one of the primary tourist spots in the city. 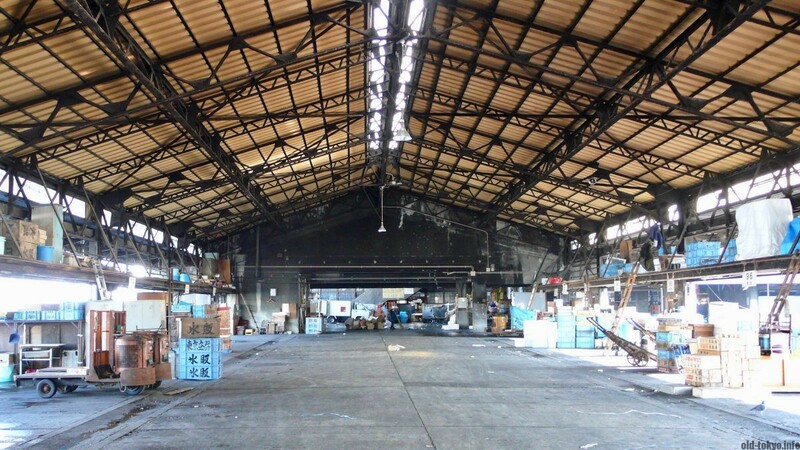 The market relocated to Toyosu in October 2018, while the Tsukiji outer market remains in business. 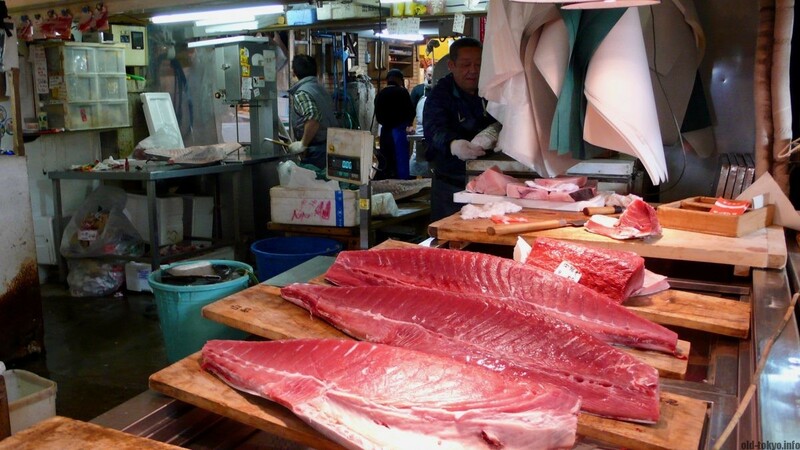 So, by the time you read this article, Tsukiji fish market has closed down. It’s sad that a piece of history has to go, but it is most of all an incredible change for all the people involved. According to news reports, over 80% of the fishmongers were opposed to the move, but city officials insisted that the place was unsanitary. Protests were staged against the move and lawsuits filed, but to no avail. 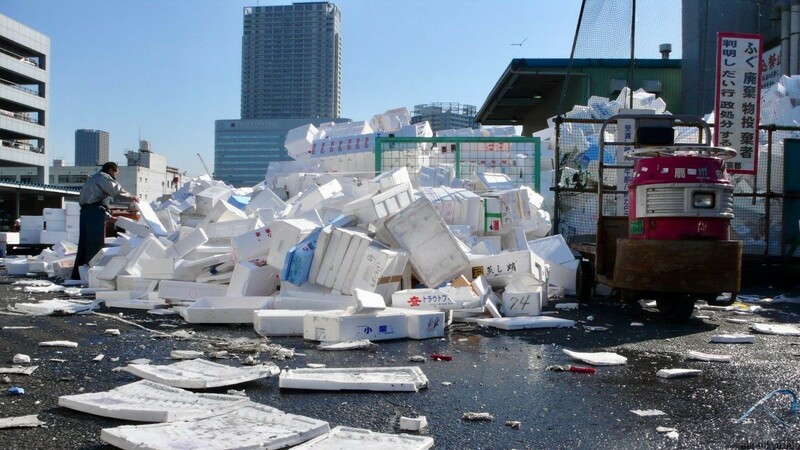 Tsukiji was the world’s largest fish market with 550 fish wholesale businesses. 14,000 people were working there and about double that figure visited the market as buyers. 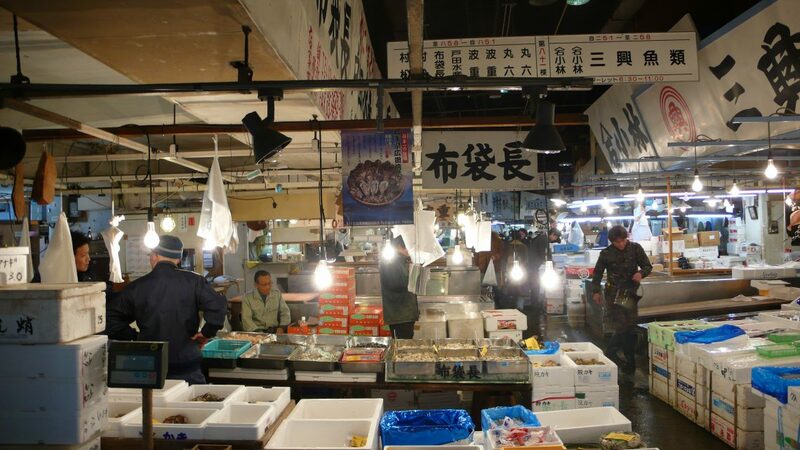 The fish market has its origins in Uogashi market that had been around since around 1600 in nearby Nihonbashi. If you want to know more, the Japan Times made a nice overview of the history of the market. Especially in the first few years I lived in Tokyo I visited the market several times. At that time the amount of foreign visitors was still manageable, but started to become a problem. The market was actually unsuited for visitors, and to be frank, I advised against visiting the market to friends coming from abroad, unless they were really into fish. The sheer variety of fish that you could see at the fish market was truly astonishing. The highlight of any visit was a super fresh sushi breakfast in the nearby outer market. For me, I was mainly interested in the wholesale area, where you could get a sense of all the things they take out of the sea into your plate. The tuna auction early in the morning, the most popular activity, was rather plain but holds cultural value and the size of it all makes it special. The reasons against going were that it was rather unsafe to walk between all the stalls with the turret trucks speeding around. More visitors also meant that more visitors were not behaving very well, making the foreign visitor a nuisance that was frowned upon by many fishmongers. The market was not made for general consumers, let alone tourists. In the last 10 years various rules were introduced in order to channel the visitors to certain areas and times. 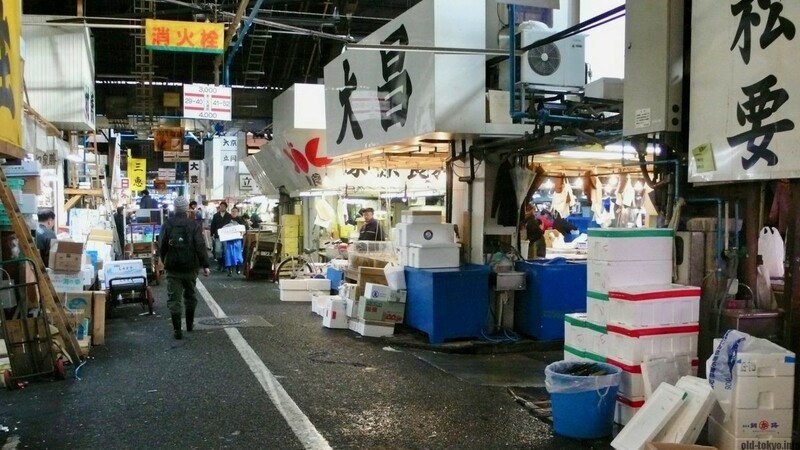 The news reports all stress that the Tsukiji outer market remains in business and keeps welcoming tourists. However, with the main fish market gone, I am afraid this market with about 350 restaurants and stores will take a hit. Without a new scenario regarding how it can be appealing, tourists are likely to stay away. Also, the combination with the fish market made it worthwhile for buyers to come here, but with that gone, how can it survive? Furthermore, the old buildings of the market are going to be demolished, so nothing to see here anymore. What is even worse is that the supply of the fresh fish will be gone. Wasn’t that the main selling point for having your sushi at the Tsukiji outer market in the morning? The new market in Toyosu is more suited for visitors with dedicated observation windows for the auction area, but the wholesale market is off-limits. A real pity.